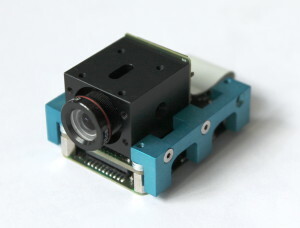 Crystalspace micro camera family is the smallest and the most advanced series of satellite camera systems on the market. It suits well for densely packed satellites starting from CubeSats (for taking pictures of the Earth) to large satellites (monitoring cameras). 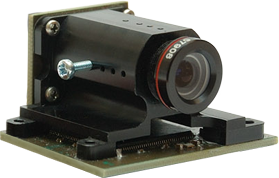 Under 600 meters per pixel ground resolution is achieved from low Earth orbit (600 km) using the basic version of optics (44 x 34 degree field of view) and sensor (640 x 480 pixels).